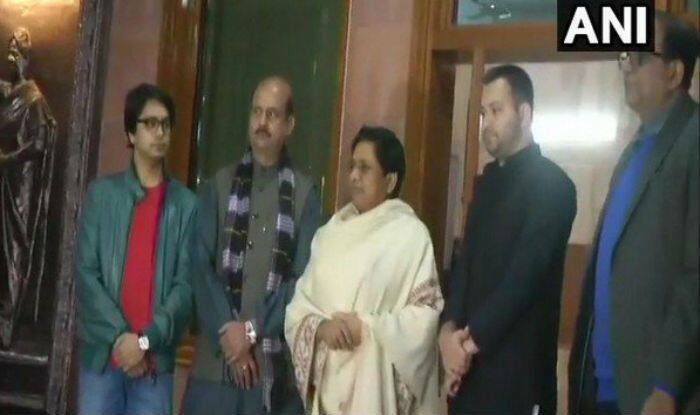 SP-BSP to contest Lok Sabha elections from 38 seats each. Today, Yadav is set to meet SP chief Akhilesh Yadav, said reports. While claiming he had come to seek the blessings of both the leaders, Yadav launched an attack on Prime Minister Narendra Modi for the ‘undeclared emergency’ in the country. He also claimed that it was the wish of his father, RJD chief and former chief minister Lalu Prasad Yadav, that there was an alliance between the two parties even for UP Assembly elections. “Lalu ji had hoped that there would be a mahagatbandhan even in UP assembly elections and had said that SP and BSP should contest elections together,” Yadav was quoted as saying by a leading daily. elections in an alliance with the RJD. In the same way, Yadav alleged, the BJP had used the CBI against the SP after the alliance was firmed up, digging up an old mining case against Akhilesh.